Steve J. Weiss is a shareholder at Hertz Scram. He concentrates his practice in the area of general civil litigation, which includes contractual disputes and business dissolutions, as well as employment, securities, longterm disability and personal injury litigation. Mr. Weiss has represented large and small companies, and individual clients, in a wide variety of matters involving breach of contract claims, discrimination actions, negligence cases, shareholder disputes, commissions claims, insurance disputes, and errors/omissions suits. He also provides problem solving and human resources consultation with many business clients and also provides consultation to school districts and administrators. He is routinely involved in cases calling for Alternative Dispute Resolution (ADR), including arbitration and mediation. Mr. Weiss has provided counsel for appellate cases argued before the Michigan Court of Appeals, Michigan Supreme Court, 6th Circuit Court of Appeals, and the United States Supreme Court. He has also been a presenter on legal related topics to Leadership Oakland, Detroit Medical Center, National Association of Securities Dealers, Society for Lifetime Planning, Creative Benefits and Insurance Solutions, Michigan Society of Oral Surgeons, and University of Michigan Dental School. Mr. Weiss is a member of the Employment & Labor Relations, Alternative Dispute Resolution, and Health Care Law and Negligence Sections of the State Bar of Michigan. He is also a member of the State Bar of Florida, and the Oakland County Bar Association. He is admitted to practice in the Sixth and Eleventh Circuit Courts of Appeals and the U.S. Supreme Court. Mr. Weiss serves as an arbitrator in a number of ADR settings, including for the American Health Lawyers Association, National Arbitration Forum and as an Oakland County Case Evaluator and Facilitator. Mr. Weiss earned a Bachelor of Arts, with distinction, from the University of Michigan in 1976. 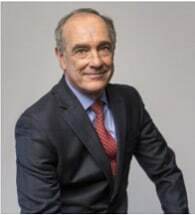 He earned his Juries Doctor degree from the University of Miami in 1980, where he was a member of the Bar and Gavel Honorary Society, President of the Legal Research Service, and the recipient of the American Jurisprudence Award for Torts. In 2003, Mr. Weiss was elected as a Trustee of the Bloomfield Hills Board of Education, and served as President in 2005-06, and 2006-07. He has recently been appointed as a board member of the Bloomfield Hills School Foundation. He has also served as a member of the board of directors of the Bloomfield Baseball League, a committee member of the Oakland County Bar Association Youth Law Day, and a participant in the Oakland Schools Lawyer Teacher Partnership Program. He is also the author of two published novels. Mr. Weiss received a "Michigan Super Lawyers" designation in the area of Civil Litigation and Personal Injury Law.